My Moon colleague Josh Berman has had a busy week promoting himself and the Maya 2012 phenomenon on the radio this week, but I was making my own media splash this week in Buenos Aires. On Wednesday, I spent the entire day with producer Leonardo Caló, director Shirli Aufgang, and a small film crew on a program for Conexión Educativa, a local cable channel that’s focused on the arts and literature. Among the programs that Conexión Educativa produces have been a documentary on Darwin in Tierra del Fuego, and Arte X 3 (Art Times Three), a series that looks at works of art from the viewpoints of the artist, the museum, and the public. Recently, I attended a public showing at the Museo Evita of one program on the works of painter Omar Panosetti from the rugged barrio of Ciudadela, which long ago earned the nickname “Fuerte Apache” for the violence in the impersonal high-rise “monoblock” apartments that appear in his work. I don’t claim to be an artist, or even a journalist (though I occasionally do things that I would call journalism), but Leonardo approached me with the idea of doing it as part of his series “El Oficio de Escribir” (roughly translatable as “Writing as a Vocation). 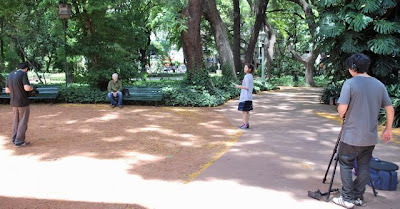 After a lengthy conversation, we decided that a better perspective would be “El Oficio de Viajar” (“The Vocation of Travel”), because I’ve been an amateur and, later, a professional traveler for most of my adult life. 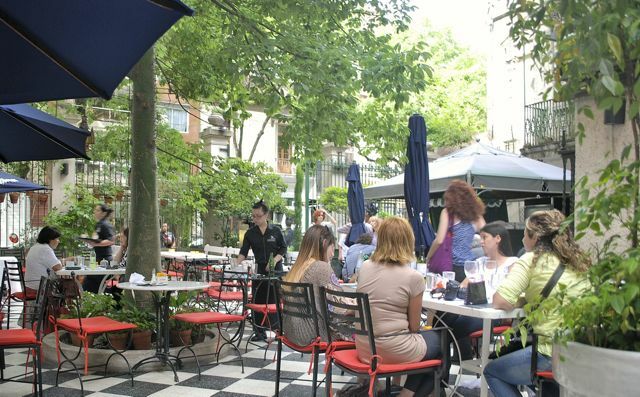 In the course of shooting, we spent most of the time in my Palermo apartment, but also shot in the nearby Jardín Botánico (pictured above, where I brought up the topic of US pioneer conservationist John Muir, who visited the gardens in 1911) and in the Museo Evita’s restaurant patio (pictured below), which is just three blocks from my place. I was a little reluctant about doing the program because, while I’ve done quite a bit of radio, I tend to be camera-shy, and wondered whether I might be tongue-tied with the lens focused on me. In the days leading up to filming, Shirli sent me a list of questions that constituted an outline and, in the run-up to Wednesday, I wrote out answers just to avoid total ad-libbing. It didn’t, of course, work out totally to plan, but sometime in the near future I may translate this into English for readers of this blog. We shot about six hours of footage, and it’s up to Leonardo and Shirli to edit it down to half an hour of hopefully coherent programming. Unfortunately, Conexión Educativa doesn’t post its programs to YouTube but, if it shows up on the website at some point, I’ll let everybody know. Of course, you’ll have to understand Spanish to appreciate my presumptive insights on travel as a calling. In fact, this was not my first time before the camera in Buenos Aires, but the previous instance was under rather different circumstances. 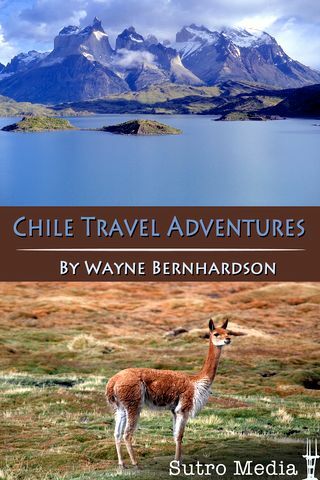 Chile Travel Adventures - The App Goes Live! Last year, in partnership with Sutro Media, I published my first iPhone app Argentina Travel Adventures, which recently came out in an Android version as well. 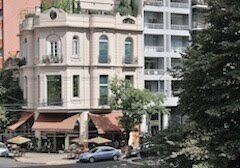 More recently – just a couple days ago, in fact – Chile Travel Adventures has gone live to complement Argentina in both iPhone and in Android format, so that readers can explore southernmost South America on their mobiles as well as in print. At just US$2.99 each, the apps are a giveaway (figuratively if not quite literally), with regular updates at no additional charge.